I find myself mostly blogging at night? Is that strange? Oh well, moving on. 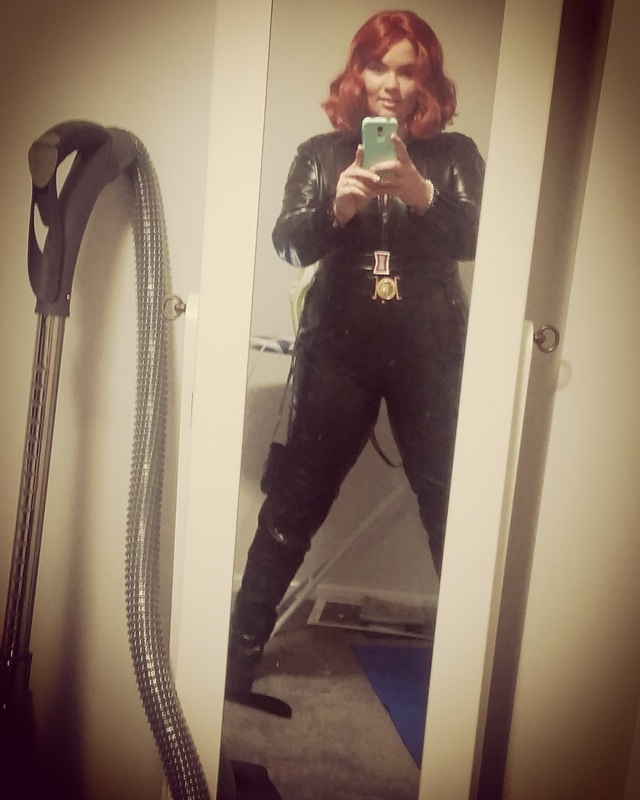 Today’s post is going to be a review of the Black Widow outfit I bought from EZCosplay. Now I just want to say first and foremost this is my opinion on my experience and I honestly hope everyone else had a much better experience than I did. Roughly four months ago my partner and I decided it was only fitting to cosplay while attending Brisbane Supanova, so as we are definitely beginners we opted to buy our costumes. I searched online far and wide checking prices, availability and reputations, I eventually came across an awesome costume from EZ Cosplay. Now I had heard good things about this company and their products however I still initially balked at the price. Converting the cost to AUD I found the price was approximately $330 including shipping. I asked everyone I knew for their opinion, (is it worth it?) I’m not a big spender at the best of times so spending $330 on a costume really wasn’t something I would do. But considering it is something I could wear basically endlessly, eventually I was so excited that my partner and I decided it was a great idea, the costume looked great, honestly what could go wrong? Apparently a lot; although there are a few positives. Surprisingly the package did arrive sooner than I thought it would turning up just 10 days after ordering well packed and not damaged at all, however that’s where the good seems to end. Firstly when trying it on I found that they hadn’t actually used the right measurements to make the bodice and thus giving me a wedgie whenever I put the bodysuit on; speaking of putting it on, that could not be done alone, I had to have my partner help me in and out of the costume simply because the bodice wasn’t actually long enough for me to maneuver. Secondly as I was hanging the bodysuit on the hanger (the second time I touched it) one if the teeth of the zip broke off causing the slider to come off one side. While trying to fix this I found the slider was actually extremely frail and broke quite quickly causing me to have to buy a new zip to replace the slider. Lastly the legs were ridiculously shaped, instead of being the measurements of my calf they basically fell from the measurements of my thighs straight down to my ankle causing a mass amount of bunched material when trying to put on my boots. Getting back to the few positives, when I emailed the company they did reimburse me $15USD to fix the zipper, apologized to me, however did not take any responsibility for the mix up of measurements. Luckily later that week I was given the name by a friend, of a lady near me who is a wonderful seamstress and all round lovely lady who in her own time lengthened the bodice, took in the legs and fully replaced the dodgy zipper for me, all for a mere $50AUD. Without the help of this wonderful woman I would have been an absolute mess. I can not explain to you how distraught I was, this was my first ever cosplay and I was super excited all for it to be a major let down, I spent an incredible amount of my hard earned money on something that I probably could have made myself. To say I was disappointed was an understatement. As I said at the beginning of this post, this was just my experience with the company and I hope to god yours may be 100 times better. Although I will never be buying anything from this company again, it has also completely put me off buying costumes online at all. So please, if you are going to buy online try and make sure you are buying from a highly reputable source who you know has good products, cause I would never wish this experience upon anyone new or old to the art of cosplay. Anyway my lovelies, thank you so much for once again reading! on the sponsoring programs, we would offer free costume to you if you are agree to do the review for us , contact us directly if you have any interests. I would love to! How do I contact you?